Corning Incorporated (NYSE: GLW) today announced that Corning® Gorilla® Glass, the cover glass of choice for global consumer electronic device manufacturers, will be featured in innovative automotive curved display applications at the 2016 Paris Motor Show, from Sept. 29 to Oct. 16, 2016. 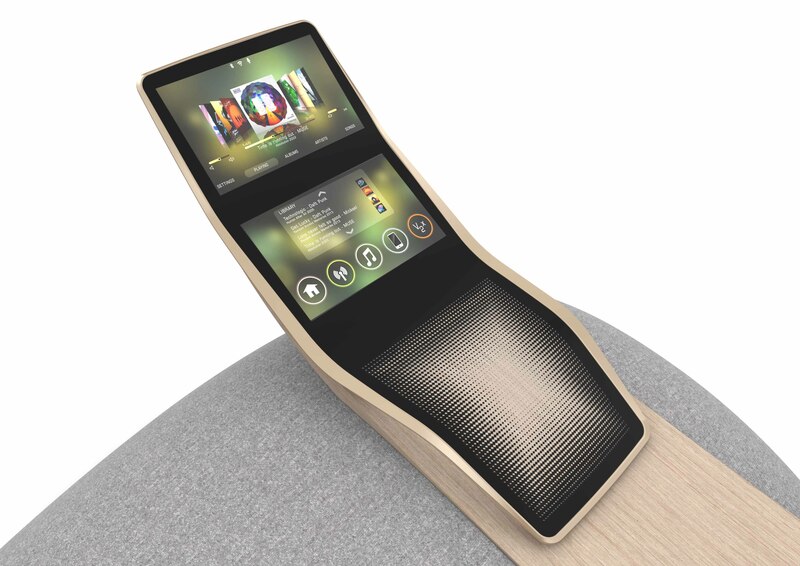 The glass is featured in a curved, full-glass center console and instrument-panel application called “Smart Pebbles” in the Faurecia booth located in Hall 1/B212. “Formed through Corning’s proprietary fusion-draw process, Corning Gorilla Glass’s damage-resistant surface offers the perfect solution for touch devices, and now cold-formed curved cover glass for cutting-edge displays inside a car,” said Doug Harshbarger, division vice president and business director, Corning Automotive Glass. “Displays are a fundamental part of the automotive cockpit of the future and consumers expect their smartphone experience to be replicated in their vehicle displays, with better touch performance and resolution, along with seamless design integration. This is a step toward the fusion of in-car displays and surfaces. Corning Gorilla Glass is a material that helps make this possible,” explained David Weill, vice president of marketing and business development, Faurecia Interior Systems. Corning Gorilla Glass is a thin, tough, and optically clear cover glass with emerging applications in automotive interior displays. It delivers superior toughness, enabling durable automotive touch displays. Gorilla Glass can be formed into 3D shapes and curves to create a more custom, seamless design, without the expense of typical hot forming. And, with additional anti-reflective and anti-glare surface technologies, Gorilla Glass provides improved visibility and readability in strong ambient lighting situations, such as bright sunlight. These surface technologies can eliminate the need for recessed or partially covered consoles that shade the display’s surface. This collaboration with Faurecia further demonstrates Corning’s ability to leverage its precision glass capabilities, fusion manufacturing expertise and auto industry experience to extend Gorilla Glass into the automotive glass market. Faurecia is one of the world's largest automotive equipment suppliers with global leadership positions in three activities: Automotive Seating, Interior Systems and Emissions Control Technologies. Its strong technology offer provides automakers with solutions for the cockpit of the future and sustainable mobility. In 2015, the Group posted total sales of €20.7 billion and employed 103,000 people in 34 countries at 330 sites and 30 R&D centers. Faurecia is listed on the NYSE Euronext Paris stock exchange and trades in the U.S. over-the-counter (OTC) market. For more information, visit www.faurecia.com.